CRTV recently ran a two part series of “Michelle Malkin Investigates” titled “Medical Kidnapping | Is Your Child the Next Justina?” revisiting the case of Justina Pelletier and the takeover of her care by Boston Children’s Hospital and the Massachusetts Department of Children and Families (DCF). Part one and part two are both available but require a subscription to CRTV to view, something I would encourage everyone to consider for the New Year. Previews of the two episodes can be viewed here and here. Let me state upfront that I was very emotionally involved throughout Justina’s ordeal and to this day revisiting what happened during that time hits a raw nerve. Justina, at 19, is now back home with her family but is wheelchair bound and still suffers from effects of her 18 month ordeal while “treated” by Boston Children’s hospital. According to Michelle’s report she still suffers from emotional distress and PTSD. A main part of her treatment involves therapeutic horseback riding going from needing to be surrounded by 6 people to ensure her safety to being able to ride on her own. The lawsuit is still before the courts with no decision yet. 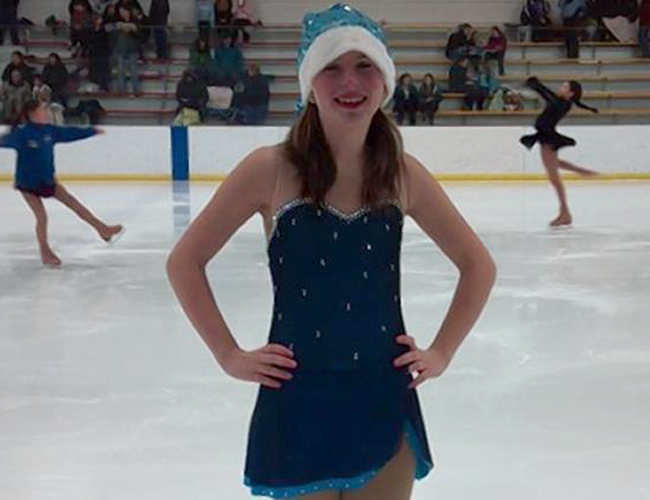 Justina’s ordeal began in February 2013, in the prior month she was actively involved in figure skating. Since a great deal had been written Justina’s case I won’t spend a lot of time going over that but I will share “Justina’s story” from “A Miracle for Justina” Facebook page that had been set up early on to support her and her family. On February 10, 2013 Justina’s doctors sent her to Boston Children’s Hospital to receive their prescribed treatment for symptoms of Mitochondrial Disease, which had evolved following a flu-like illness, over a few prior to this planned, direct admission. Justina’s GI specialist had transferred from Tufts to BCH and was expecting to admit her under his care. Instead, a BCH neurologist intercepted the direct admission, asserting “Mitochondrial Disease does not exist”, and supporting a young psychologist’s premature diagnosis: “Undifferentiated Somatoform Disorder”. (AKA – psychological causes for medical symptoms) admitted Justina under his care–(AKA hijacking an admission). When Justina’s parents disagreed with the ‘new’ diagnosis and treatment plan presented to them on day 3 of Justina’s hospital admission, the admitting physician ignored their concerns and asserted himself as the ultimate authority on Justina, The Pelletiers were instructed in writing that they could not be in contact with any of Justina’s doctors, nor could they seek the medical care they trusted prior to coming to BCH. On February 14, day 4, Justina’s parents formerly requested a transfer for their daughter- asserting their parental right to make medical decisions for their daughter, including discharge from BCH. Rather than acknowledge parental rights and demonstrate respect for parents dealing with their young daughter’s long standing medical problems, BCH petitioned for DCF custody of Justina, which was granted in court the next day. Since February 15th, BCH has exerted unchallenged control over all aspects of Justina’s health care and her life– BCH executed the traumatic separation of Justina from her family, friends and trusted doctors and continues to use coercion and force to treat Justina — against her will. Now in addition they have only let her family see her for an hour a week and only two people can visit her and they are supervised. There are only two twenty minute phone calls a week which are supervised as well. She has even had her rights taken away by not even allowing her to talk to any of her friends. She cannot speak out for what she wants and how she feels! To this point there has been no investigation by Mass DCF of her family. Now they have been threatening her and the family that she will never go home and will be put in foster care. She has not gotten any better and is not able to walk at all. She is scared and wants to come home! Justina’s supportive community is expanding to meet the daunting challenge of exposing the egregious human rights violations committed by world renowned BCH and their cohorts, the Department of Children and Families in MA. This costly battle is fueled by the love and commitment of Justina’s family , friends and those who have been inspired to fight against this injustice through close connection to their story. Only through exposure and accountability of BCH and DCF for the pain and suffering they have caused Justina and her family can we hope to secure protection of our own rights!! This nightmare went from on for 16 months..
Today Justina is home with her family recovering from this horrific nightmare. She continues to get stronger every day.. but she still has a long way to go! Therapeutic horseback riding has been one of the best therapies for her! 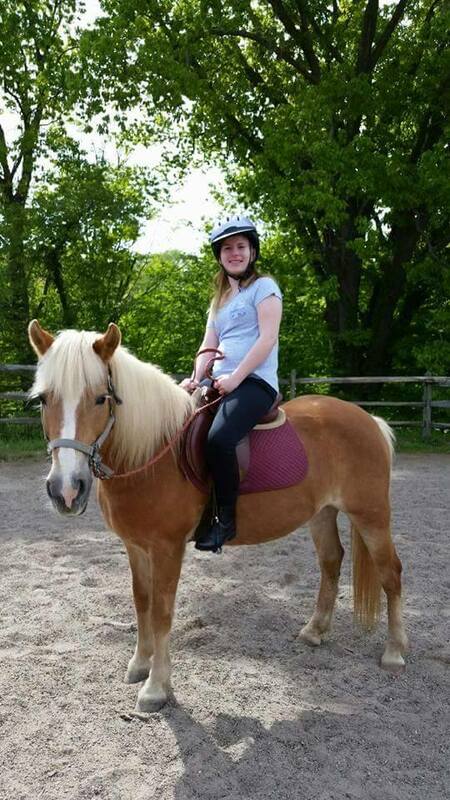 Donations to Justina by the PayPal account go directly to her horse therapy sessions. 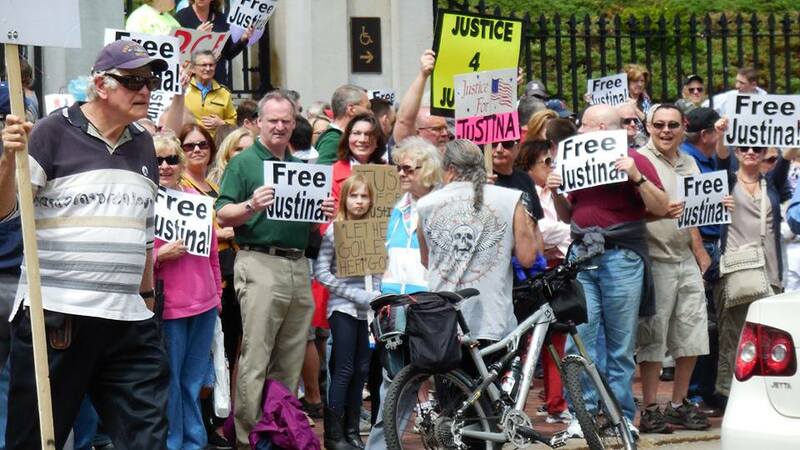 Thank you everyone for your support towards Justina!! PayPal account is set up for donations! Michelle Malkin, deservedly, spent time on her program outlining the help to the Pelletier family from Father Patrick Mahoney for his counsel and unending support and Boston’s WRKO radio host, Jeff Kuhner, who organized the Free Justina rally. Talk show host Glenn Beck who first brought the Pelletier case national prominence. Mat Staver, the founder of the Liberty Council law firm, for his legal help. FoxCT reporter Beau Berman, who did extensive reports on Justina. Mike Huckabee from his days on the Fox News Network who devoted multiple reports on his Saturday night show to Justina’s story. Dr. Phil for featuring the family on his show. I would also like to wish for a life time of lumps of coal in then Massachusetts governor, Deval Patrick, for his lack of action and more importantly a hope that he never hold an elected position again. As always I wish the very best for Justina Pelletier and her family.